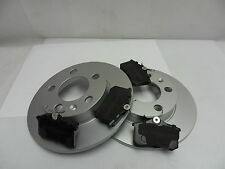 A pair of Front & Rear Performance Drilled & Grooved Brake Discs with Front & Rear Mintex Pads to fit the Vehicle Listed. Drilled & Grooved. Dimpled & Grooved. Grooved OnlyKey Benefits of Performance Brake Discs. These are the areas we do NOT cover. 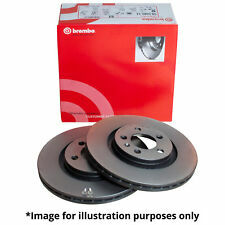 REAR BRAKE DISC & PAD SET FIT AUDI A3 SEAT SKODA FABIA SUPERB VW GOLF IV PASSAT. Comline brake discs perform to the highest standards and match OEM in specifications and quality. 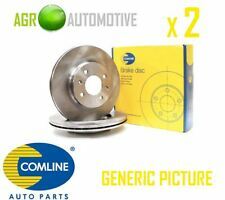 COMLINE BRAKE DISCS. Please read full listing description carefuly before you order to make sure the part does fit your car. 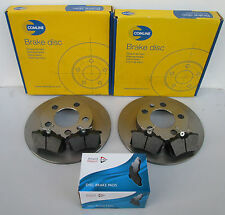 - SEAT IBIZA 1.4 TSi DSG 1.6 TDi FRONT 2 BRAKE DISCS AND PADS (CHECK DISC SIZE). Seat Ibiza 1.2TSi | 1.4TSi | 1.6 | 1.9 | 2.0TDi 08-17 Dimpled Grooved Only Rear Brake Discs. Rear Discs Specification Overall height 39.0mm. GENUINE MINTEX. MINTEX BRAKE KIT. 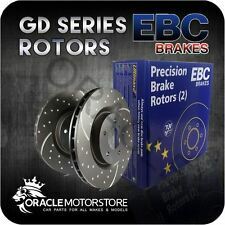 BRAKE DISCS AND PADS SET. DUE TO MANY VARIATIONS FOR THESE BRAKES AND TO MAKE SURE THEY ARE RIGHT FOR THE VEHICLE. A pair of Front Performance Drilled & Grooved Brake Discs With Front Mintex Pads to fit the Vehicle Listed. Drilled & Grooved. Dimpled & Grooved. Grooved OnlyKey Benefits of Performance Brake Discs. 2 HIGH QUALITY MINTEX BRAKE DISCS. FIT MINTEX. FRONT BRAKE DISCS (2X DISCS). AND PARTS COMPATIBILITY LIST INCLUDING THE "NOTES" SECTION ON THE LEFT. PUT YOUR SAFETY FIRST. VEHICLE DETAILS. IMPORTANT - ONLY SUITABLE WHEN 256MM DISCS FITTED! Brake Caliper Slider Pins. Brake Caliper Pistons. Caliper Rebuild / Repair Kits. Caliper Repair / Service Kits. This is a Budweg premium quality caliper repair kit / service kit with parts for one brake caliper. 1 X SET(4) FRONT MINTEX BRAKE PADS. 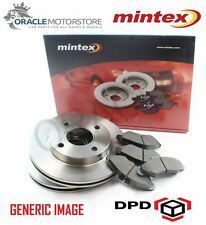 1 X SET (4) REAR MINTEX BRAKE PADS. IBIZA IV (6J5, 6P1) 1.4 1395 Petrol CPTA 140 10/2013 >. IBIZA IV (6J5, 6P1) 1 999 Petrol CHYB 75 5/2015 >. IBIZA IV (6J5, 6P1) 1.2 1197 Petrol CJZC 90 5/2015 >. A pair of Front & Rear Performance Drilled & Grooved Brake Discs to fit the Vehicle Listed. Drilled & Grooved. Dimpled & Grooved. Grooved OnlyKey Benefits of Performance Brake Discs Drilled Only. No modifications needed to fit! Please read full listing description carefuly before you order to make sure the part does fit your car. - SEAT IBIZA 1.2 1.4 TDi ESTATE 2008 TO MAY 2016 FRONT & REAR BRAKE DISCS AND PADS. Please read full listing description carefuly before you order to make sure the part does fit your car. - SEAT IBIZA 1.4 TSi DSG 1.6 TDi FRONT & REAR BRAKE DISCS AND PADS (CHECK SIZE). One Set Of 4 Brake Pads. One Pair of Brake Discs. Seat Ibiza Sport Coupe 1.4TSi 1.6TDi 1.9TDi 2.0TDi 140bhp 08-16 Compatible Dimpled Grooved Only Front & Rear Brake Discs. Rear Discs Specification Front Discs Specification Minimum thickness 22.0mm. MPN - MDC980C. SKODA A1 - A2 - A3 - TT | SEAT CORDOBA - IBIZA III IV ST - LEON - TOLEDO II IV | SKODA FABIA I II III - OCTAVIA I - RAPID - ROOMSTER | SKODA (SVW) FABIA 5J_ 1.4 1.6 | VW BORA - GOLF IV V VI - JETTA III - NEW BEETLE - PASSAT - POLO | VW (FAW) BORA GP HS - GOLF IV | VW (SVW) GRAN LAVIDA - LAVIDA - POLO | ZHONGHUA (BRILLIANCE) H530 - JUNJIE FRV FSV. 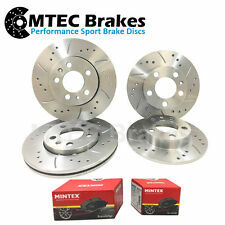 2 HIGH QUALITY MINTEX BRAKE DISCS. FIT MINTEX. REAR COATED BRAKE DISCS (2X DISCS). AND PARTS COMPATIBILITY LIST INCLUDING THE "NOTES" SECTION ON THE LEFT. TO MAKE SURE THERE ARE NO VARIATIONS RELATING TO YOUR PARTICULAR MODEL. Seat Ibiza ST 1.2 | 1.2TDi | 1.2 TSi | 1.4 | 1.4TSi 10-16 Dimpled Grooved Only Front Brake Discs. Front Discs Specification Overall height 36.0mm. A pair of Rear Performance Drilled & Grooved Brake Discs to fit the Vehicle Listed. Drilled & Grooved. Dimpled & Grooved. Grooved OnlyKey Benefits of Performance Brake Discs Drilled Only. No modifications needed to fit! THESE DISCS HAVE BEEN DRILLED AND GROOVED BY PROFESSIONAL ENGINEER USING CNC APPROVED MACHINE UP TO THE MAXIMUM STANDARDS. Volkswagen Golf 1.8 T MK 4 (1998-2006) 10/97-10/03. 1 X SET (4) NEW REAR BRAKE PADS. Seat Ibiza ST 1.2 1.2TDi 1.2TSi 1.4 1.4TSi 10-16 Compatible Dimpled Grooved Only Front & Rear Brake Discs. 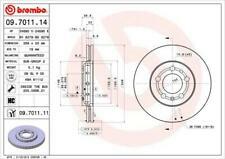 Rear Discs Specification Front Discs Specification Minimum thickness 19.0mm. Minimum thickness 7.0mm. A pair of Front Performance Drilled & Grooved Brake Discs to fit the Vehicle Listed. Drilled & Grooved. Dimpled & Grooved. Grooved OnlyKey Benefits of Performance Brake Discs Drilled Only. No modifications needed to fit! 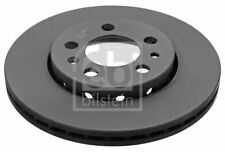 Seat Ibiza ST 1.4 TSi 150bhp 15-17 Compatible Dimpled Grooved Only Front & Rear Brake Discs & Pads. Rear Discs Specification Front Discs Specification Minimum thickness 22.0mm. Minimum thickness 7.0mm. Please read full listing description carefuly before you order to make sure the part does fit your car. - SEAT IBIZA ESTATE 1.2 1.4 1.6 TDi 10-15 REAR 2 BRAKE DISCS & PADS & SENSOR WIRE. Please read full listing description carefuly before you order to make sure the part does fit your car. - SEAT IBIZA 1.2 1.4 1.6 1.9 2.0 TDi 2008-2016 REAR 2 BRAKE DISCS AND PADS SET. Seat ibiza ST 1.4 TSi 150bhp | 1.6 TDi 10-17 Dimpled Grooved Only Front Brake Discs & Pads. Front Discs Specification Overall height 34.0mm. Seat ibiza ST 1.4 TSi 150bhp | 1.6 TDi 10-18 Dimpled Grooved Only Front Brake Discs. 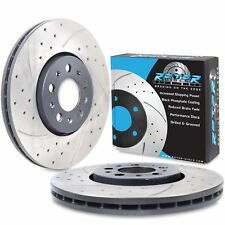 Front Discs Specification Overall height 34.0mm.